In line with the principles of Therapeutic Recreation – on which Dynamo Camp’s activities are based – children can enjoy themselves and focus on their abilities rather than their limits. Under the constant supervision of medical personnel and qualified staff, children at the camp practice a wide range of creative activities in contact with nature inside the splendid WWF-affiliated reserve Oasi Dynamo. 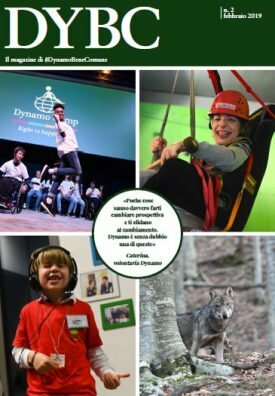 Dynamo Camp belongs to the SeriousFun Children’s Network, the association founded in 1988 by the actor Paul Newman, the inspired promoter of such therapeutic experiences for sick children. Dynamo Camp first opened its doors in 2007, hosting 60 children, and has increased the number of youngsters, illnesses and programmes each year ever since. In 2015 it welcomed, free of charge, 1.200 children and teenagers and 190 families during its summer sessions, Easter and Christmas holidays, family weekends and international sessions. (donations made in the US through SeriousFun Children’s Network are tax deductible to the fullest extent allowed by US law).